APRIL 2016 FOUND LORIMER on a plane heading to the Canadian arctic, Cape Dorset, Nunavut to be specific. He was on a mission to meet the master carvers he now represented at his new art gallery, Lorimer Gallery. 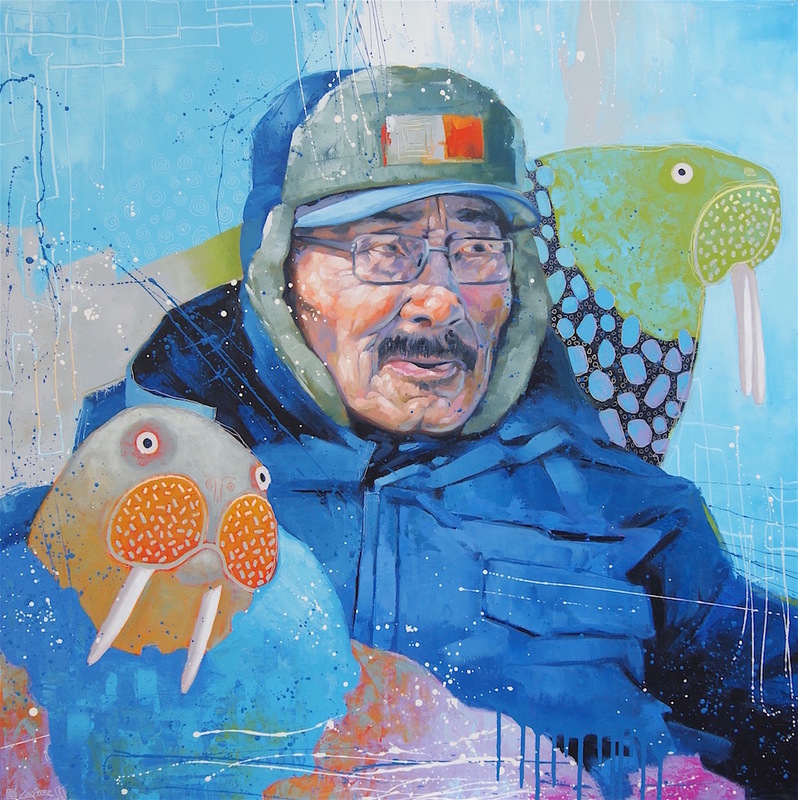 Lorimer writes, "The struggles of the Inuit people are documented, but somehow in the perils of living life on the frozen tundra of the Canadian north, the artists of Cape Dorset have managed to carve out a decent living. In some ways their work has surpassed the that of the Group Of Seven in terms representing Canada on the world stage, yet they themselves remain relatively unknown. I wanted to recognize the artists themselves". These vividly powerful portraits command attention and demand recognition.